This post was featured in the Valentine's Magazine at She Wears Many Hats! Every year I try to make a few new decorations in honor of the holiday of love. 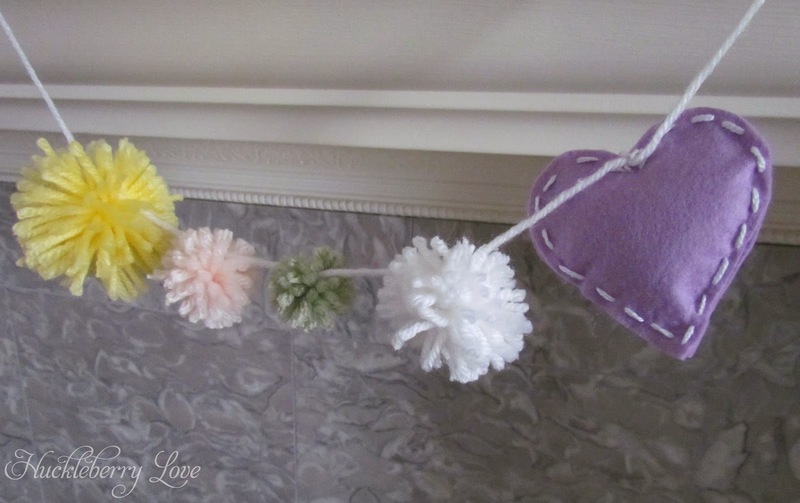 This year I came up with this adorable Pom Pom and Felt Hearts Garland. I'm smitten, folks. It's simply lovely! And, it's easy to make. I had bought these Pom Pom Makers with the intention of making a pom pom garland for Christmas. With all of the holiday craziness, it just never materialized. But, I was determined to use it for Valentine's Day and I'm so glad that I did! Be ready for a slew of different pom pom related crafts in the near future- I'm afraid I may have found my new obsession! 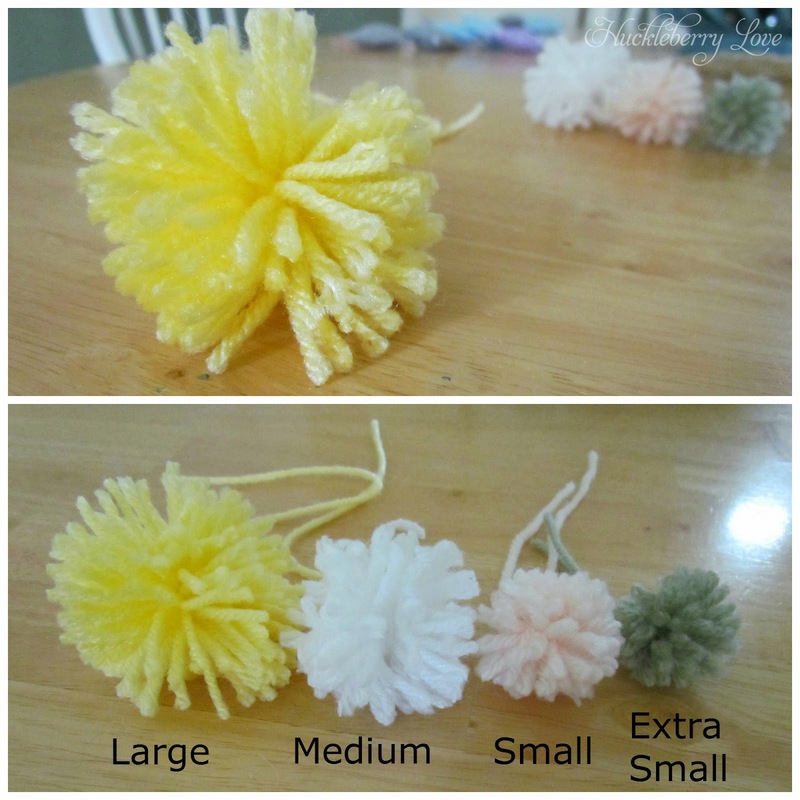 Here's how your pom pom will look once you remove it from the maker and have given it a little trim. I made mine in four different sizes, but you can make yours in as many sizes as you like! If you don't have Pom Pom Makers, or don't want to purchase them (although they come in packs of two and aren't very expensive! ), you can make your own using a fork. This simple and straightforward tutorial from Eskimimi Makes can help guide you on how to create your own! I used a disappearing ink marker found in the notions sections of most craft stores. It's nice because after you cut out your pattern or design, the ink will eventually disappear, so you don't have any marks on your finished product. I found the cookie cutter at JoAnn's for 49 cents. I decided to buy it because I was feeling lazy and didn't want to cut out a stencil with my Silhouette. Ha ha! This garland definitely puts a smile on my face. And it look just lovely on my simple Valentine's Day mantel. I love that it's non-traditional and could go with my Spring and Summer décor as well. Isn't versatile holiday décor the best?! 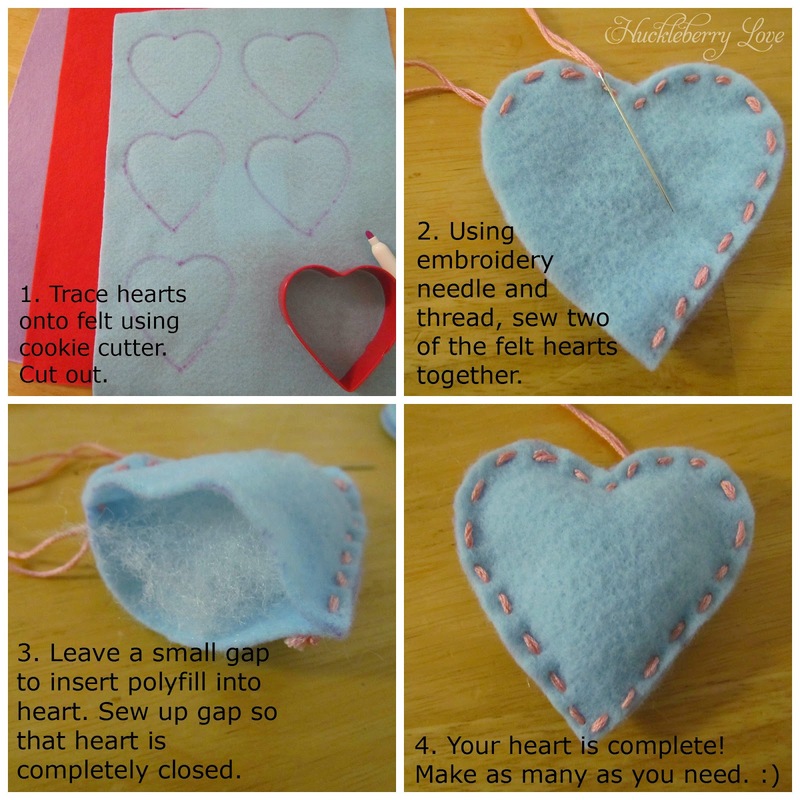 Also, be sure to check out this beautiful felt heart garland that Lydia created last Valentine's Day for more inspiration! Isn't it lovely? 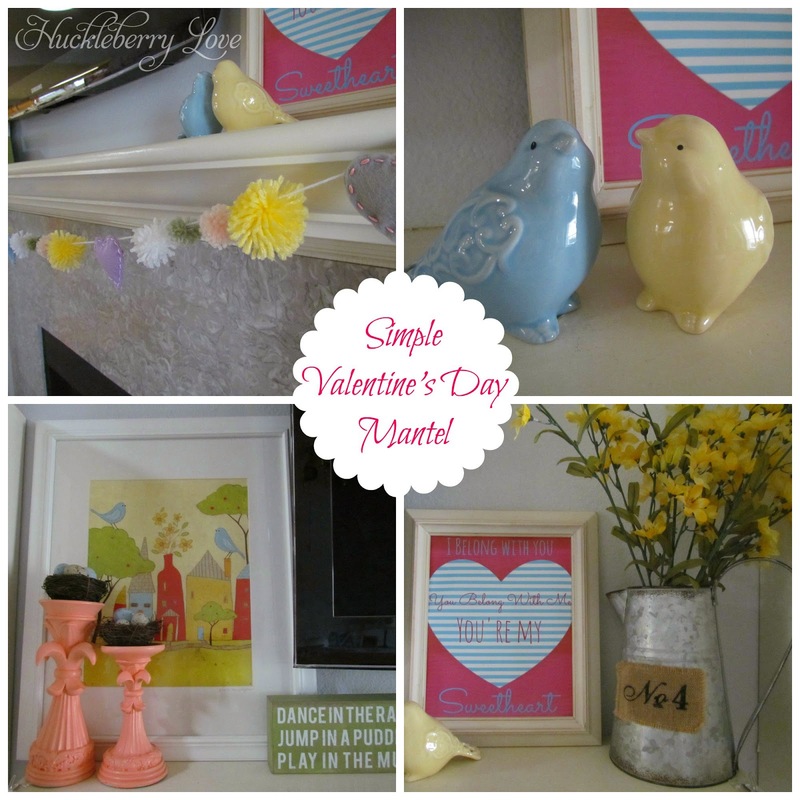 Have you finished decorating for Valentine's Day yet? 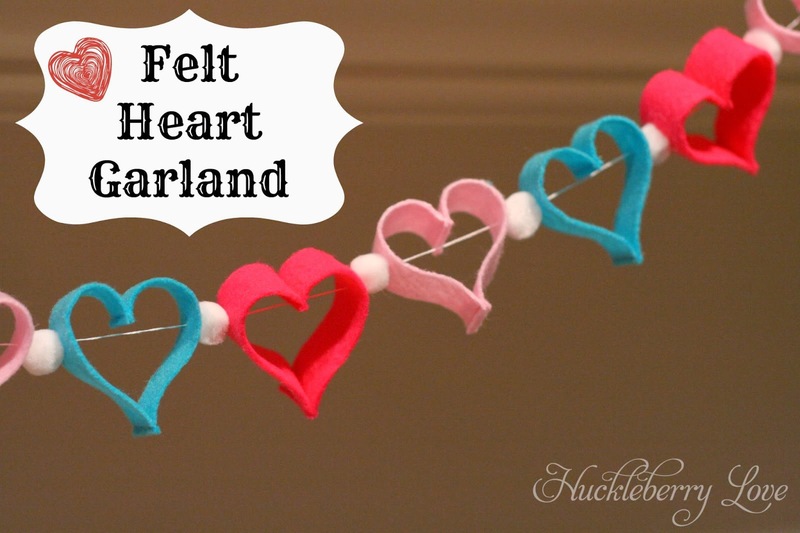 I am in love with your heart-felt garland! Too cute. 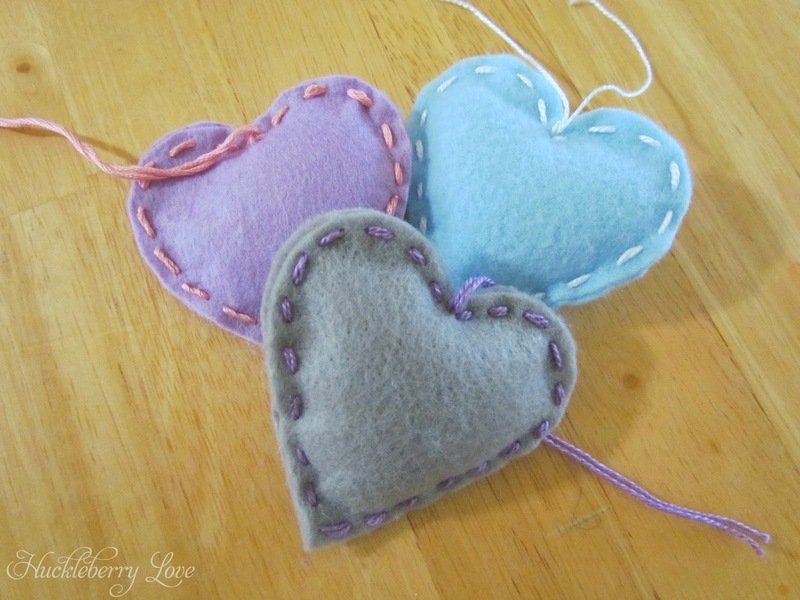 I especially like the felt hearts with the stitching you made. I've got no sewing skills whatsoever, but I feel like there's no way even I could mess that one up. I might have to try to make a few for Friday. And I haven't even begun to decorate. Since my hubby is out of town, It'll just be me and the kiddo this year for our Anniversary and Valentine's Day. Thanks for sharing! I've pinned this to a Valentine's Day collaboration board that I am a part of! I'm sorry you have to spend your Anniversary alone- hopefully your hubby will make it up to you with a great night out on the town! Super cute! I just realized I haven't decorated at all for Valentine's! :/ My husband's birthday was last weekend so that took all my focus. Aww... that's okay! You can always just decorate for Spring! That's what I tend to do.. and then just incorporate a few things for each holiday that happens along the way! Maybe you can just get a big head start on St. Patrick's Day this year instead?! This is super cute and with the springy colors it can stay up for a while!! Loving this. I actually just came back from the craft store and had some pom poms in hand, but put them back. I should've bought them...lol. Stopping by from the Friday Pin Fest. I think I need a pom pom maker! This is pretty cool. Thanks for sharing with us at the Four Seasons Blog Hop. I am pinning this one.